I've finally managed to get back into fiction writing. I've published two more chapters of Book of Death on Wattpad, and I'm planning a new Dr Monday novel... this one set at the same time as The Crows, because I like playing with narrative and suchlike. I thought it would be really fun to show the same time period in the same place from the perspective of a totally different person, who was unconnected with the events happening to Carrie. With Carrie, you get an outsider's view of the town: with Meredith Blake, you get an insider's view. 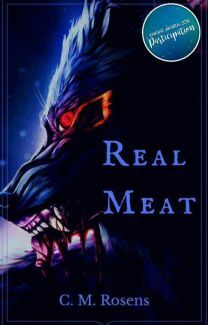 However, even with Meredith as the MC, you still only get her perspective on the werewolf community - even she is an outsider where it comes to the other communities of supernatural and paranormal entities in Pagham. Investigative journalist Meredith Blake is a werewolf on a mission. After the disappearance of the local History Society's secretary, a member of the lycanthropic community, Meredith decides to uncover the truth. Rumour has it that the missing secretary had a taste for human flesh: and Meredith discovers that she wasn't the only one. Her investigations take her deep into the heart of Barker Crescent, home to the werewolf community of Pagham-on-Sea. When one of her young informants turns up dead, Meredith realises she's stumbled onto something big - and murder is just the tip of the iceberg. Can she expose the truth before she too is silenced?